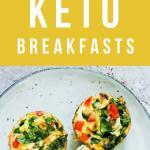 Looking for a convenient ketogenic diet breakfast to make ahead of time and save your sanity in the mornings? Check our simple Keto Diet Breakfast Ideas below. Finding a quick and easy recipe of breakfast for keto diet can be hard. There are so many keto breakfast options that it can be hard to make a decision when you’re tired and in a hurry, so it’s great to have something made ahead. Sometimes we just don’t have the time in the morning to cook up a traditional Keto meal with bacon and eggs. 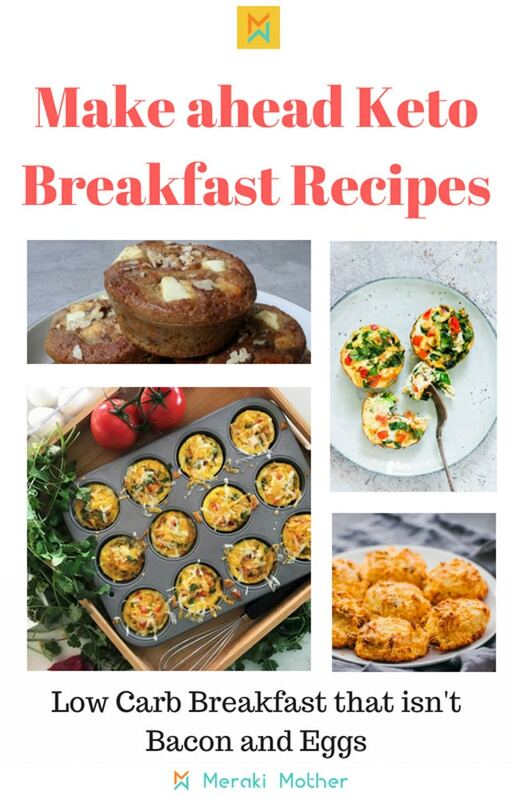 Or maybe you are just tired of your keto breakfast eggs and want to find some tasty new recipes for something different? We have collected some of our favorite low carb breakfast foods for you to try. We love these recipes as they are super easy, quick to make and can also be made ahead. 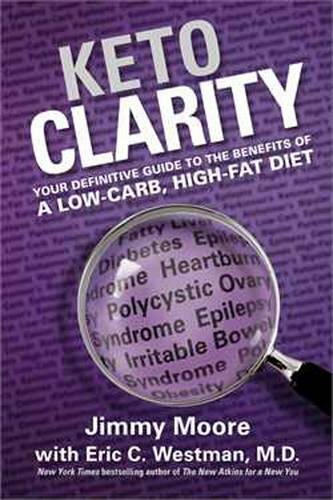 Making it even easier for you to stick to an LCHF diet. 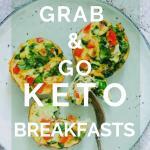 And they double up as keto breakfast on the go ideas! Grab your bite and get started with your day! 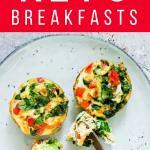 As an added bonus we know that for all the keto moms out there, these are tasty ketogenic breakfast ideas that kids will love. Just starting your Keto or LCHF lifestyle? Head here to find a comprehensive explanation of Keto and how you can get healthy and lean. 0.1 Read: The Best Keto Cookbooks! Read: The Best Keto Cookbooks! Cut fruits and vegetables ahead of time about once a week. These are a few of the best keto breakfast recipes that I go for almost every morning! They are crowd pleasers and make the whole family happy and satisfied. 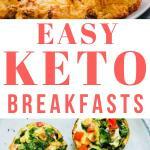 I hope they will make keto breakfast meal prep a breeze for you! This is one of my favorite ketogenic diet breakfast ideas that I make all the time! 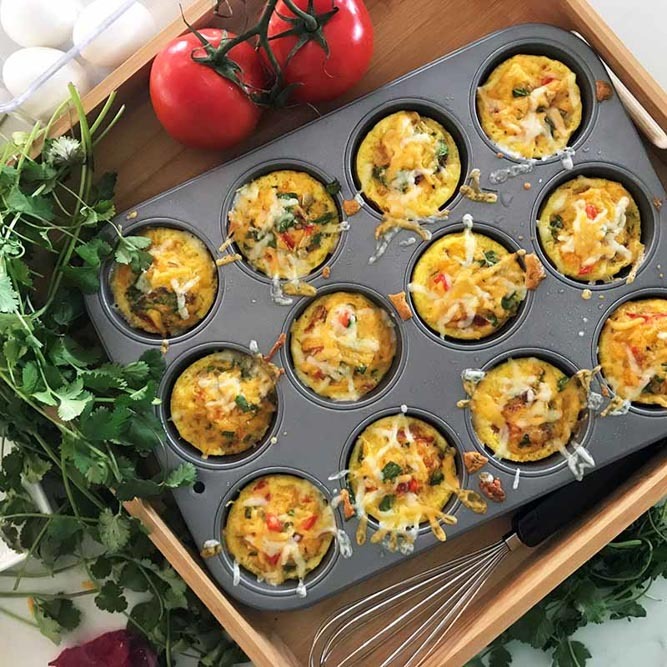 These Delicious Keto Egg Muffins from Diabetes Strong, can be made ahead and kept in the fridge for a quick go-to keto breakfast. 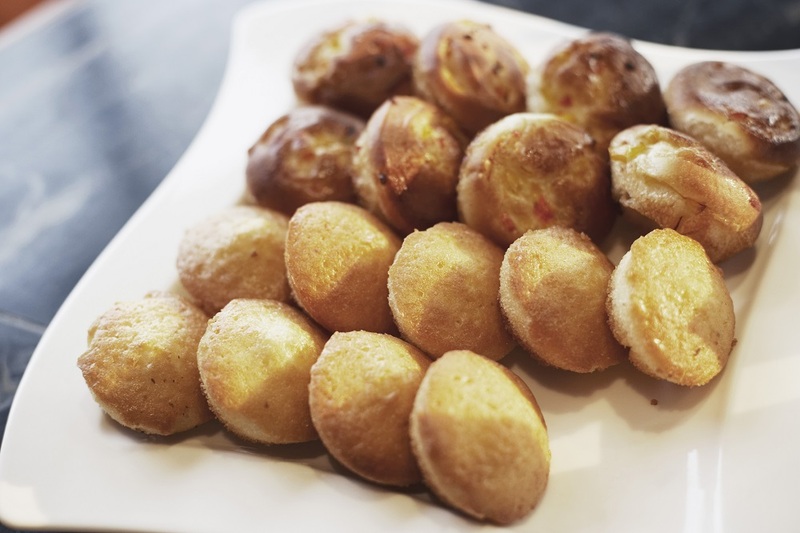 High in fat and low in carbs, egg muffins make a tasty and satisfying start to any day… and as an added bonus the whole family will love them. 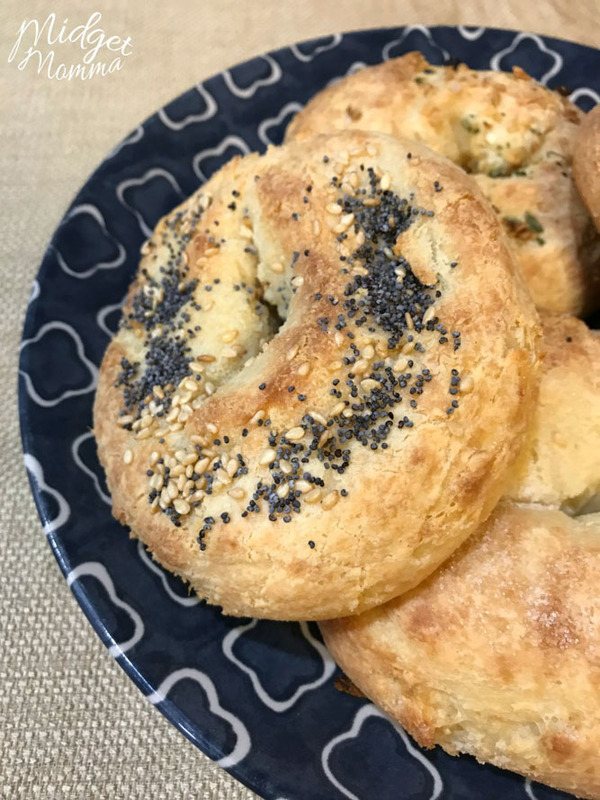 Make these mouth-watering Low Carb Bagels with almond flour and mozzarella cheese, then add your favorite keto toppings for an amazing Keto-friendly breakfast. Midget Momma makes hers ahead and keeps them for up to a week in an airtight container. She even has to make extra as they are one keto snack kids love! Click to find some more great kid-friendly keto recipes. 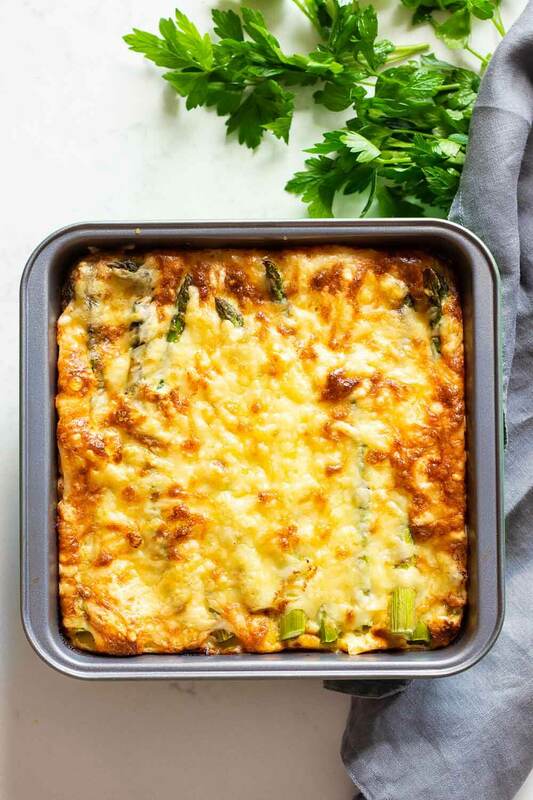 This is one of my favorite healthy keto breakfast casserole recipes from Green Healthy Cooking. It’s super healthy and super simple! While I love a good keto sausage breakfast casserole, this one is definitely lighter and less meat-heavy. For more Keto casserole recipes for lunch or dinner, read The Best Keto Casserole Recipes to Keep You in Ketosis. 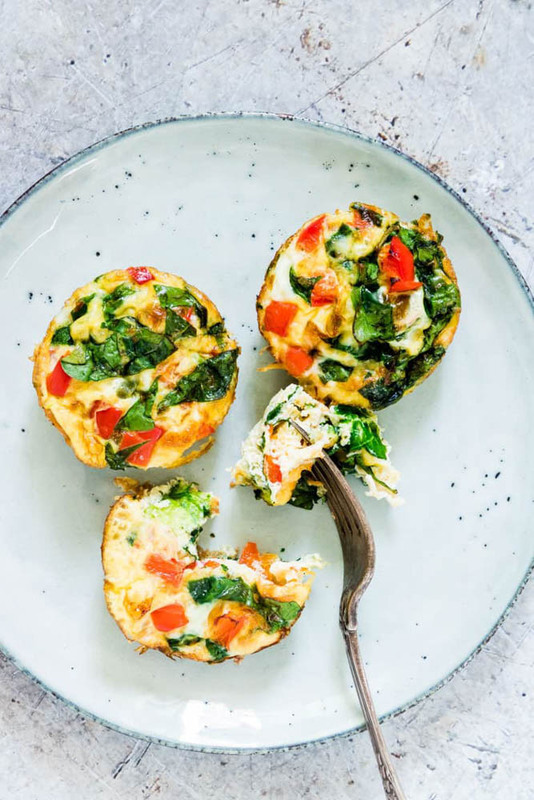 These yummy gluten-free and keto baked egg cups are full of healthy veggies and good fats. Recipes From A Pantry creates this delicious Egg Cup recipe and each baked egg cup contains only 1g carbs! Did you know that Egg Cups are one of the easiest and quickest ways to make eggs for breakfast? Perfect for busy mornings where you still want a healthy and low carb breakfast option. Sometimes I even make these for quick and easy Keto dinner. They are so versatile! 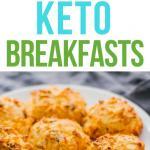 So make these cup keto breakfasts today! 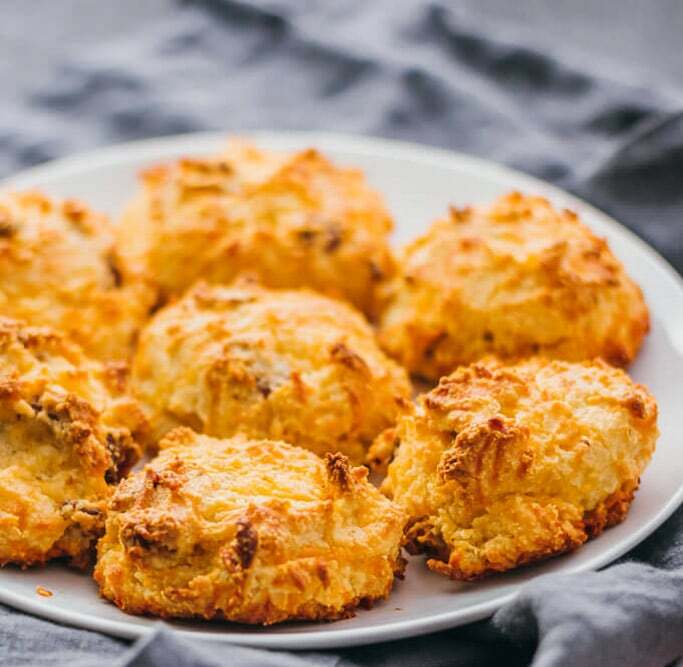 These easy low carb biscuits are made with almond flour, bacon and, cheddar cheese. Not only do they taste delicious but they can be made a few days ahead, then reheated to make a quick and keto breakfast. Savory Tooth shares her recipe here and the best way to reheat the biscuits to keep them from going soggy. Did someone say Cheesecake for breakfast? Yes, please! These are also a great Keto Snack that kids will love! 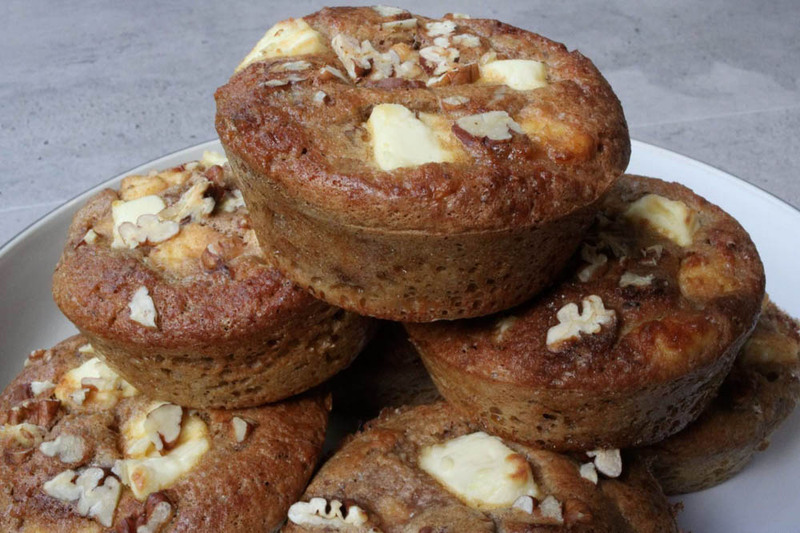 These keto pecan cheesecake muffins are perfect when you want a no egg keto breakfast. Have Butter Will Travel says these are perfect to batch cook, then store in the fridge or freezer for those mornings you need a keto breakfast in a hurry. It’s one of my go-to keto diet breakfast recipes!